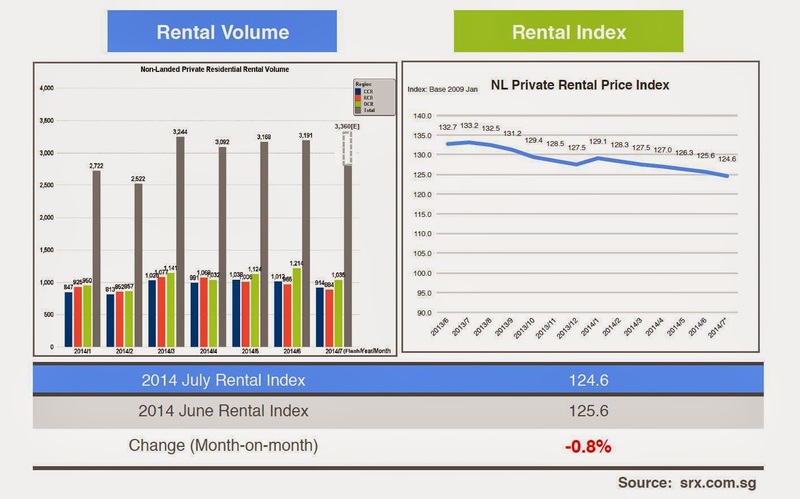 July rental: Volume up, Price down to 38-month low! According to data from SRX, the number of full units rented out in July was 3,360 - representing a 5.3% on-month hike. Year-on-year, rental volume improved by 9% from the 3,082 contracts signed in July 2013. Rental prices went down, though, slipping 0.8% from the previous month. It is a 38-month low since May 2011, SRX added. The decline was greatest in the Rest of Central Region at 1.4%, while Core Central Region dipped 1.1%. Prices for Outside Central Region improved slightly by 0.3%. 3 comments to ''July rental: Volume up, Price down to 38-month low!" HDB resale prices fall for seventh consecutive month. 4 Sep 2014.